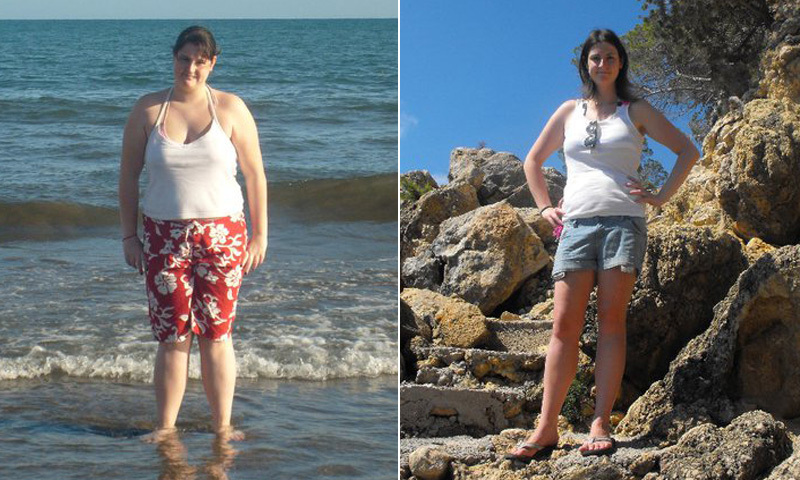 How I Gained It: I wasn’t always overweight. In fact, before the age of 10 I was fairly small, and I was always active and running around playing, even though I didn’t really play a sport. I started comfort eating when things at home became difficult to handle. I never weighed myself, but I knew I was much bigger than the other kids at school. Some of them were hurtful enough to even point it out. I moved out at 17 and my weight spiraled out of control. I was going out, drinking, sometimes ordering two takeaway pizzas a day and still dealing with all of my problems by eating. Everything was about convenience and that came at a price — my health. 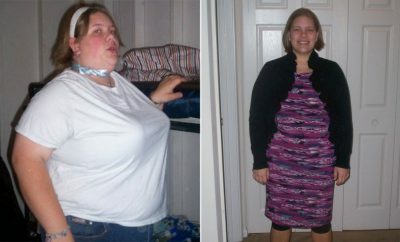 Breaking Point: Fast forward seven years to 2009, and I was at my heaviest of 231 pounds and wearing a size UK 22 (18 US). I was having heart problems, where my heart was always racing and skipping a beat. I couldn’t breathe, and it was made worse by what I was putting in my body. I was at university at the time and my eating habits had gotten worse as my social life had gotten better. I knew if I didn’t make the change now, I might not make it to 30. 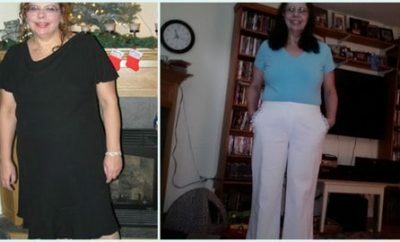 How I Lost It: I needed to lose 100 pounds, but since the thought of that was daunting, I started off by taking small steps. I cut out junk and processed foods, and stopped eating takeout. I replaced it with lots of fresh fruit and vegetables. I gave up alcohol for six months, which really helped kick-start the weight loss, and I started cooking everything from scratch. Previously, I only knew how to put something in the microwave or in the oven, so cooking was completely new to me. One of the things I always said from the beginning was that I never wanted to stop enjoying food. I didn’t see why losing weight had to mean that — and it didn’t! I still enjoy all the foods I once ate too much of, I just make healthier versions of them so I know exactly what is in them. 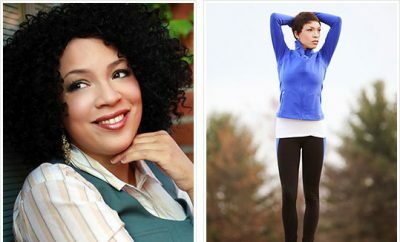 After losing 40 pounds, I hit a plateau, and I knew I had to kick it up a gear: exercise. I knew that I couldn’t just head out and run a 5K, so I got a Wii Fit and did some gentle yoga every day. Not only was it stretching my muscles, ones I didn’t even know I had, but it was relaxing, too. I then started swimming as well. It is a gentle exercise that doesn’t put too much pressure on your joints, which is perfect if you are overweight, and it is a brilliant cardio workout. I moved out of the plateau and the weight started coming off again. Soon, I started going to the gym five days a week, picked up a few workout classes like Zumba and step aerobics, and, with a lot of hard work and dedication, I reached my goal of 98 pounds lost, and fitting into a size UK 8 (US 4), in February 2011 — in time for my wedding in May. The hard work didn’t stop there; in fact that is when it truly began. 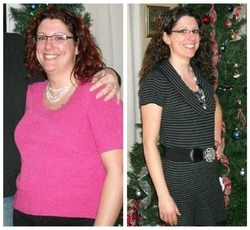 Maintaining such a big weight loss is difficult, and I have to work hard at it every day — but it is so worth it. Running my Hungry Healthy Happy blog and Facebook page keeps me on track; I am inspired by all the people who are on their own journeys to being healthier. My advice to you if you are looking to get healthy and lose weight is to stop waiting and start doing! There is never going to be the perfect time. Start off small — cook more meals at home with fresh ingredients and find a workout you love. Get yourself a support system, whether it’s your friends and family or people on an online forum or Facebook page. Never compare yourself to where someone else is and never talk negatively about yourself. You might not be exactly where you want to be right now, but you are beautiful and you are worth it. Loved this ! Congrats ! U look GREAT and HEALTHY!!!! I love these stories! They keep me motivated! Thank you for all these inspirational success stories. It keeps me going on my own weight loss journey and reminds me never to give up!